The internet is full of little time wasters.......and occassionally it's quiet satisfying trying out some of these offerings. Facebook of course is the worst for linking off to obscure sites for random entertainment.......here's one such, pretty fun and a suitable time waster for a Sunday afternoon. Full of online doll making games with some extremely lovely costuming you can really have hours of amusement making yourself and friends dolly avatars. 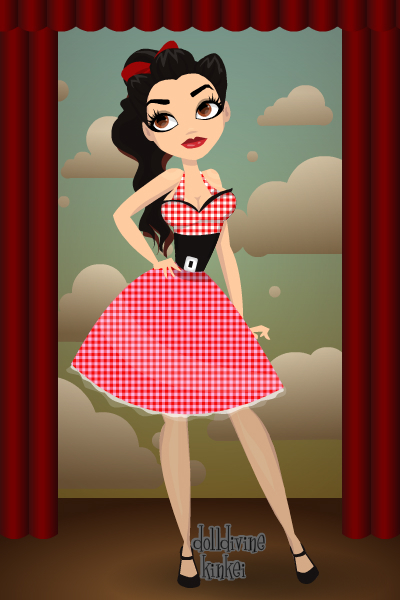 My friend/model Rachel as a cartoon doll - awwww so cute!